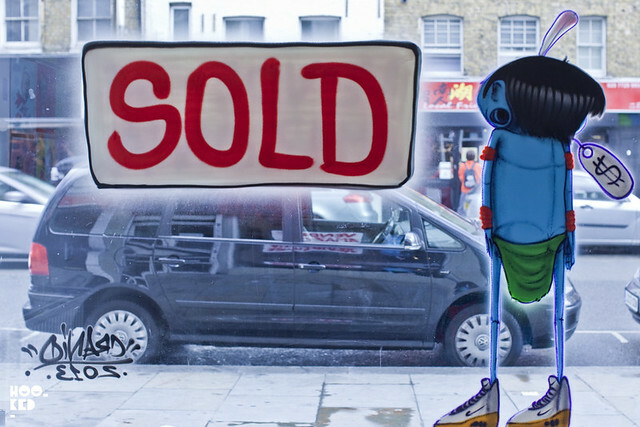 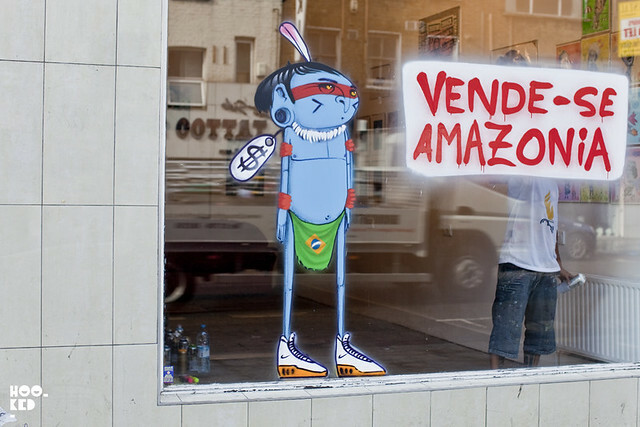 Hookedblog have already featured the work of South American artist Cranio who retuned to London on Sunday and wasted no time in taking to the streets of East London. 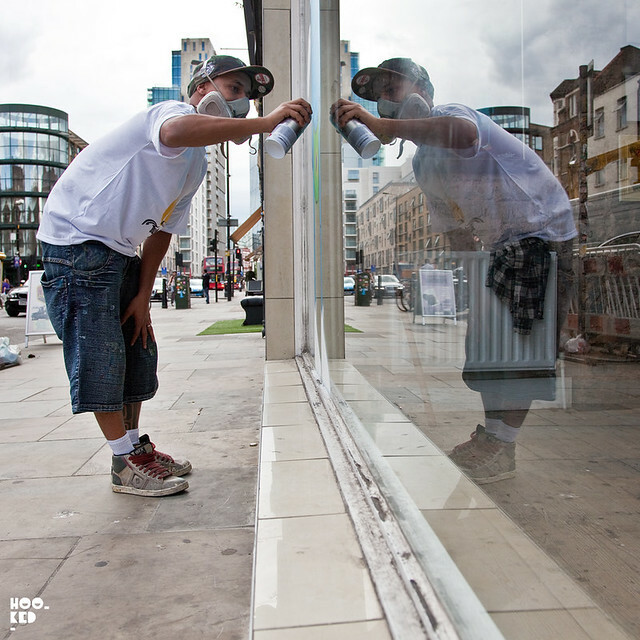 Yesterday saw us catch up with the artist as he colaborated on a rooftop piece with London artist Might Mo (covered here). 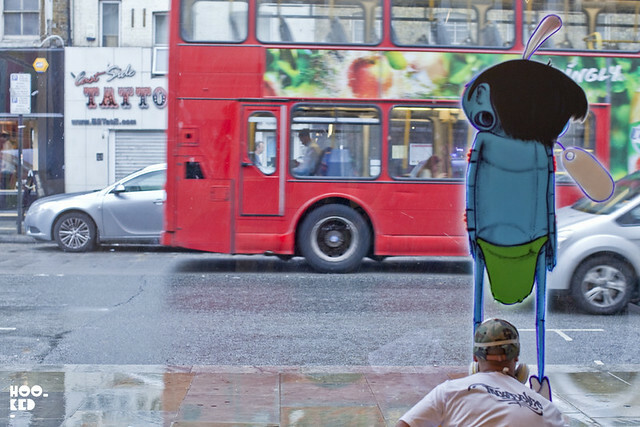 The artist just finished his second piece here in London, a double sided character on the shop front windows of the Fun Factory project space on Bethnal Green Road. 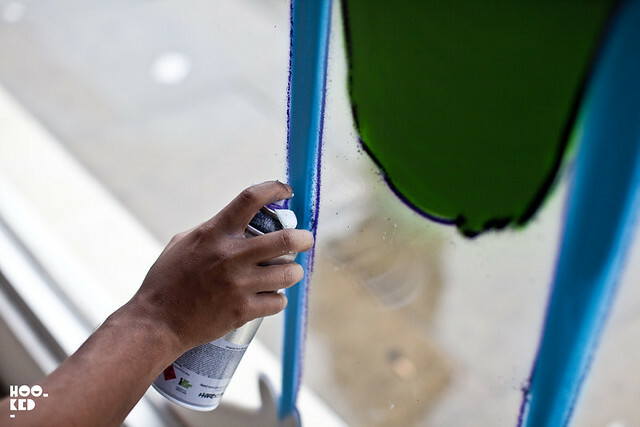 Stay tuned for more from Cranio over the next couple of days. 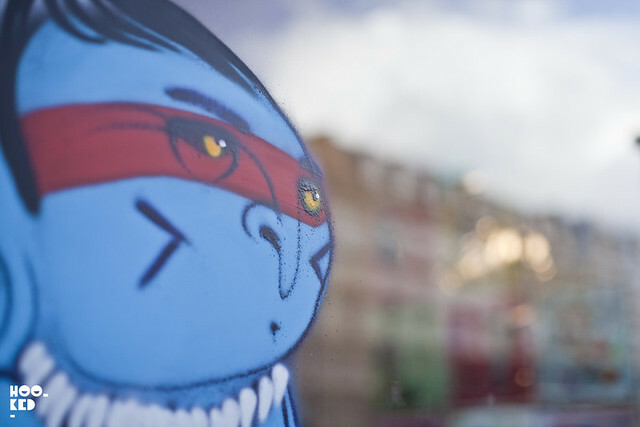 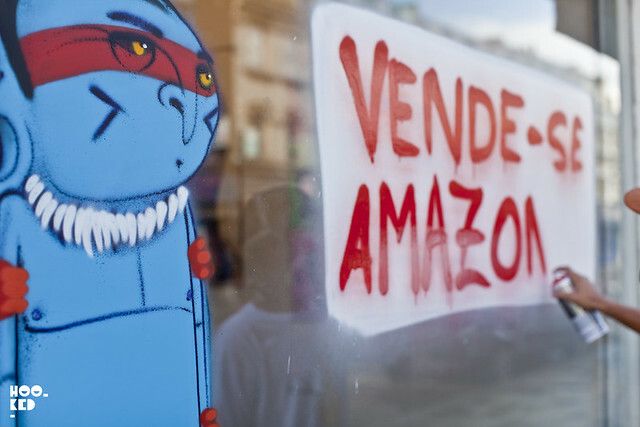 Wow Cranio's artwork looks great, I would definitely think it is worthy of being featured in London street art tours.